Some people find their calling through diligent searching, but sometimes it comes looking for you, grabs you by the scruff of your neck, and shoves you into the fire. 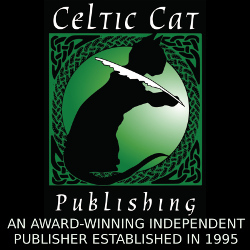 Twelve years ago if someone had said I’d be writing and sharing stories face-to-face with strangers from all over the world, I would have hidden under the bed. Writing has always been my obsession, but like most writers I’m an introvert. The thought of talking about my work in front of an audience filled me with dread, a nightmare come true. 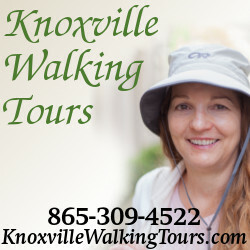 Then I took a temporary job at the Knoxville Visitor’s Center as a receptionist, and many visitors asked if I knew a tour guide who could show them downtown and tell stories about Knoxville. We had nobody to recommend. I tried to interest Jack Neely and other qualified friends, but everyone said they were too busy. Most added: “Why don’t you do it?” I said I was too shy, and didn’t know enough. Some recommended books or brought them from the library. Jack offered to help me figure out themes and tour routes. I was still afraid. But soon the stories began to take hold of me, become real, burn to be told. I had to share them, no matter how scared I was. I’d caught on fire, and it made me study more, train, and practice my stories. Five years ago, I started with two tours, adding new ones as more stories were found. Now I’ve written ten tours and a book (A Haunted History of Knoxville) and told Knoxville stories to people from five continents. On Saturday, August 19, I’ll be teaching a workshop on storytelling, sharing the lessons I learned along the way, including how to market your stories by reading them out loud, capture and hold an audience, improve your vocal skills, and control your stage fright with proven performance techniques. We’ll cover the elements of story and how to choose a piece or an excerpt for a reading, whether timed or for a speaking engagement, and how to present yourself to publishers and audiences. Come ready to practice; wear comfortable clothes and of course, bring writing materials. When you tell a story you believe in, sparks fly, set ideas alight. You can learn how to catch fire.